Ørsted’s service operation vessel (SOV) Wind of Change will be commissioned in May 2019, the offshore wind developer said. 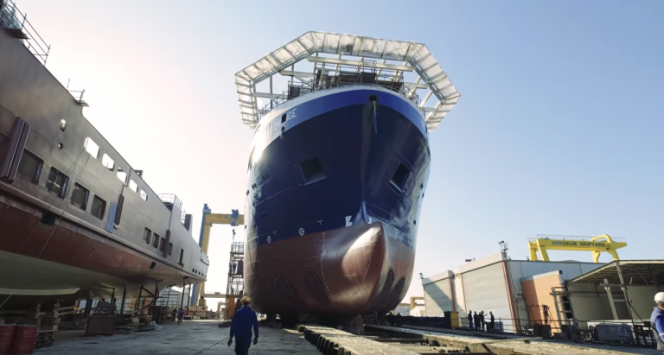 The 83m long vessel is currently under construction at Cemre Shipyard in Turkey. The SOV features diesel-electric propulsion and dynamic positioning (DP2) and is capable of accommodating more than 60 wind farm technicians. Once delivered, the Wind of Change will head to the German North Sea to service the Borkum Riffgrund 1 & 2 and Gode Wind 1 & 2 offshore wind farms. The vessel was ordered by France’s Louis Dreyfus Armateurs (LDA). Ørsted chartered a second SOV from LDA in April 2018.